Confidence in your employees, your management, your partners and suppliers is essential to building a successful business. It breeds trust, which inspires loyalty. SEW Eurodrive of Lyman, S.C., is built on this belief from the top down. The company has confidence in everyone it employs, providing these individuals with both the responsibility and the flexibility to make the right decisions and drive business growth. Trust takes time to build, and it is extremely fragile. This was one critical lesson that SEW learned during its initial efforts implementing automated manufacturing systems. While early investments had helped build confidence in automated technologies and methodologies, SEW was unable to build a lasting partnership with a supplier that it could trust to execute critical automation systems. According to SEW, the biggest issue with most machine tool suppliers is their inability to offer machines, engineering services and automation integration all under one roof. It is not enough for a supplier to just purchase or partner with a third-party integrator and say everything is covered. Chandler confesses that he’s even seen these types of relationships fall apart firsthand, as suppliers and integrators blame each other for errors and delays. “If we don’t have confidence in our suppliers to get the job done right, how can we expect our colleagues, managers and customers to have confidence in us? It’s as simple as that,” explained Chandler. SEW’s journey into automation began earlier than most other companies, with initial considerations and research beginning in the late ’90s. It was during this time that SEW’s management team observed an unsettling trend of growing fatigue among employees in their plant, resulting from increasing production demands and manual setups and part transfers. These issues were resulting in minor health and safety issues, lost-time accidents and extended seven-day workweeks in which employees were struggling to maintain efficiency. Not only was this workload stressful on employees and their families, but it also led to limitations in their ability to help the company drive increased productivity. In 1999, SEW assembled a team to begin evaluating automation as a potential solution for transferring exhaustive work and extended hours from the workers to the machines. The goal was to give operators a healthier work atmosphere and allow for a five-day workweek in which staff members could spend weekends with family. Similar to most other manufacturing operations across North America, initial discussions of automated manufacturing systems were met with some hesitancy among SEW’s staff due to fear of job loss. To quash these concerns, management made a commitment to everyone at the company that any current jobs would not be lost as a direct result of automation. Within a culture based on trust and confidence, owners and managers knew that upholding this agreement was essential to long-term success and retaining the expertise that they had nurtured over the years. 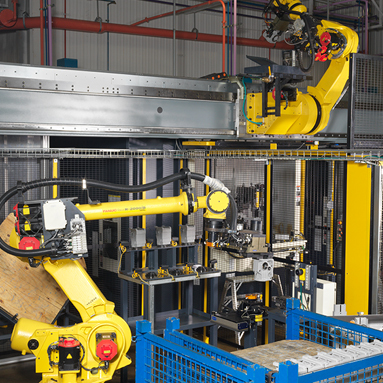 SEW’s initial investments in automation started off simple with linear pallet systems. These systems helped the company increase machine utilization and familiarize itself with the methods and processes of automation, but it did not fully address issues of operator ergonomics. Several years later, once confidence was built in the capabilities of robotics, SEW invested in its first fully automated robot-tended system. 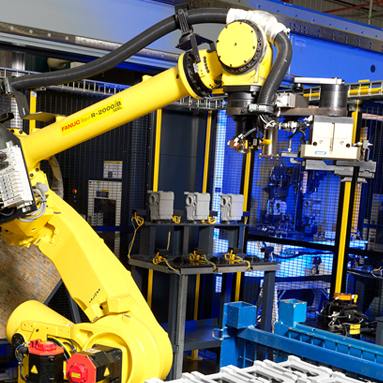 Despite installation issues, the value of the robotic system was clear in its improvements to both efficiency and operator wellness. Several years later, in 2006, SEW looked to expand its robotic system, but it was again confronted with the challenge of identifying a supplier for equipment and integration. 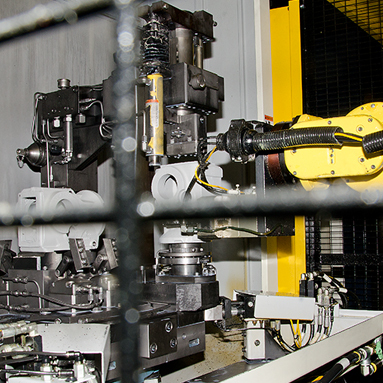 In 2007, SEW Eurodrive hired Makino to take on the expansion of SEW’s existing eight-machine robotic cell. 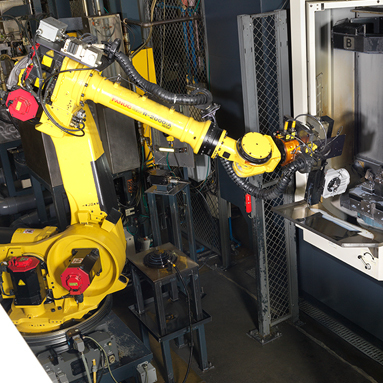 The upgrade consisted of four Makino a71 horizontal machining centers, a second coordinate-measure machine, two additional pedestal robots, a second gantry robot and custom software to facilitate communications between new and existing equipment. Makino managed all aspects of the automated manufacturing system, including third-party equipment, the human-to-machine interface (HMI), process engineering, tooling and fixtures. Makino Engineering Services has engineers and project managers with decades of experience creating robust production-ready process for parts with complex geometries, demanding deadlines, challenging budget constraints and Six Sigma standards. These services have been deployed by hundreds of North American manufacturers investing in integrated automated manufacturing systems —each benefiting from guaranteed cycle times, Cpk and cost per part. Every step of these projects is led with single-point contact project management, project engineering, on-site supervision and post-installation training and support. Makino was not only able to take on SEW’s expansion project, but it also made improvements to the efficiency and productivity of the original cell. Throughout the expansion project, SEW was able to run production orders in the existing cell with only minimal interruption when the final expansion was brought online. Today, the cell is operating 24 hours a day, five days a week, producing 4,500 housings each week. According to Paul Woodbury, project engineering team leader at Makino, communication with the SEW team was crucial in overcoming the challenges of the expansion project. SEW spent the next several years investing in linear pallet systems to transition the entire plant to a five-day workweek. 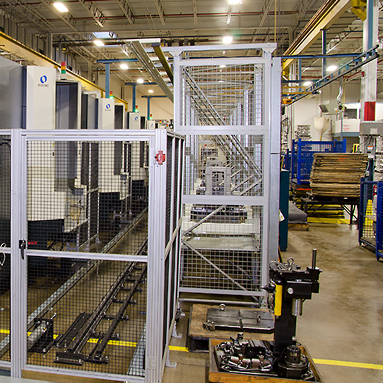 These investments included two Makino Machining Complexes (MMC2)—one system featuring four A99E horizontal machining centers and another with six a81 horizontal machining centers. As production ramped back up following the recession, SEW experienced rapid demand for a second robotic cell to produce a new line of gearboxes. Overall, the company needed to produce 500,000 units per year in the Lyman plant while operating five days per week and without requiring any new hires. The only way to achieve this was through a new automated manufacturing system. 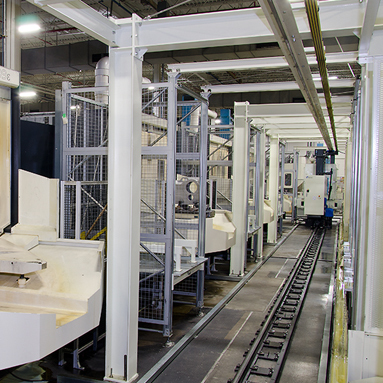 The new cell features an overhead gantry robot that services six a81 horizontal machining centers. 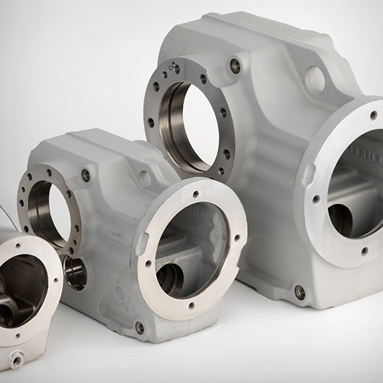 Each machine fixture includes one location for machining a raw part and one location for machining a semi-finished part. 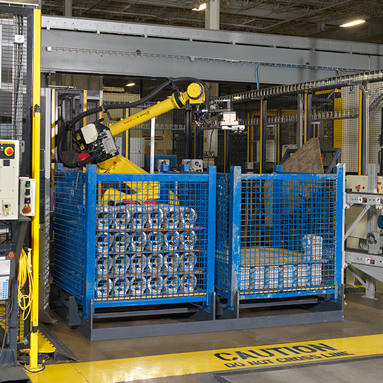 The gantry robot shuffles parts during a unload/load sequence using a vision system that is attached to the robot carriage to generate offsets for loading parts onto the fixtures. 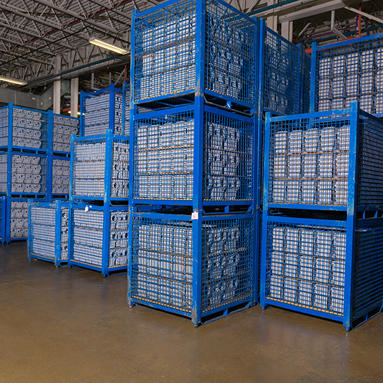 In order to keep the automated cell in operation, raw parts are continuously delivered by fork lifts. The parts arrive in bins at two areas where a pedestal robot uses a vision system to locate and pick parts from the bins. After removal from the bin, raw parts are presented to a separate vision system to verify that they are of the correct part type before they are placed on a dedicated “raw part” stand for the gantry robot to access. 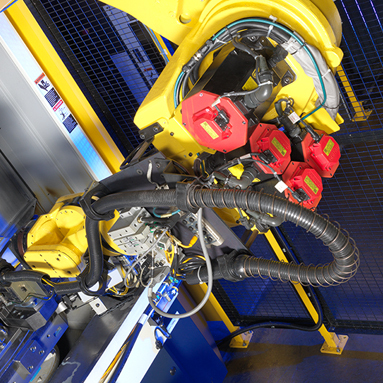 The gantry robot transports finished parts from each machine and places them on a dedicated “finished part” stand for access by the pedestal robot. 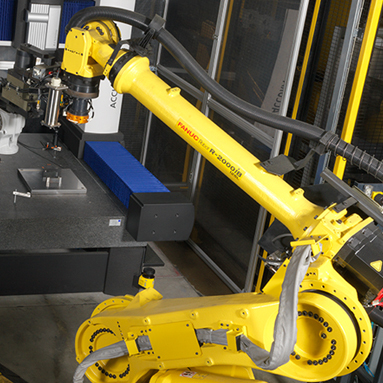 The pedestal robot presents the parts to a marking system where they receive a 2D matrix code. Next, the robot moves the parts to a vision system that verifies the matrix code. In the next stage, finished parts are transferred into a booth containing a smaller pedestal robot. There, the parts are air blasted to remove residual liquid and debris. The booth helps limit noise from the cleaning sequence and captures the chips blown off the parts. Once cleaned, the robot transfers the part to a coordinate measuring machine (CMM) where it is inspected and verified before being delivered to the finished part bin. Fork lifts then remove the full finished part bins from the cell to be prepped for delivery. The cell is managed by two HMIs which were designed with custom control screens that enable operators to quickly and easily select part types, enable/disable functions, select inspection frequency and type, and view current system information status appropriate for the application. Additionally, the control interfaces provide warnings and information regarding system alarms along with guidance about how to how to resolve the issue. SEW’s system was designed to run two different part numbers at high volumes, while providing flexibility within the programming to accommodate six other part types. Several of the robots execute tasks within common areas, so complex system coordination is handled by the cell’s controls. 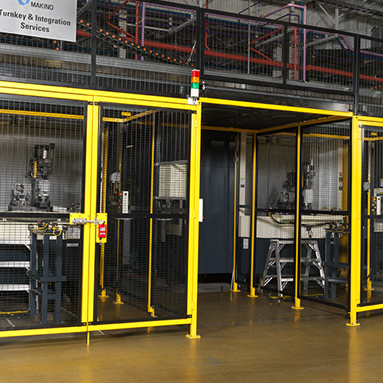 Installation of the automated manufacturing system was completed within projected timelines, and SEW’s cell operated at peak performance on its first production run. Operators attended training at Makino’s headquarters in Mason, Ohio, which they found to be the most engaging and informative hands-on experience from any previous supplier. Makino’s training provided operators with an in-depth understanding of their systems’ cell controllers, enabling them to manage systems efficiently with a high-degree of confidence. “When developing the HMI, our team strives for simplicity through standardization of menus and messaging that makes it easy for operators to quickly identify and resolve issues. It’s all about balancing aesthetics and functionality for optimum performance,” explained Woodbury. Through its more than a decade-long experience with complex automation systems, SEW believes that it has found the recipe for confident and trustworthy investing. The proof can be found across all areas of the business, including the Lyman plant’s production output, which has grown tenfold with only a 6 percent increase in manpower since the installation of the first automated cell. This has not only helped the plant to retain skilled labor during tough economic cycles, it has also led to improved product costs and greater profitability for years to come. The Lyman plant is now recognized as the most efficient operation among the company’s global manufacturing network, including its China operation. Nearly 80 percent of all products manufactured in Lyman are now being shipped internationally for assembly and sale. According to Chandler, the efforts made in Lyman are driving an automation trend across SEW globally. The global company is now developing plans for a new plant in Germany that is being dubbed the “plant of the future,” which is expected to draw upon insights from Lyman. As for what’s next at the Lyman plant, Chandler and his team are already one step ahead of the challenges. The proof can be found across all areas of the business, including the Lyman plant’s production output, which has grown tenfold with only a 6 percent increase in manpower since the installation of the first automated cell. SEW recently established several programs internally, and with local high schools and technical schools to help grow a new generation of engineers and machinists. As a part of these programs, the company provides inductees with two years of on-the-job experience while the students complete their schooling. The company attests that the majority of these trainees are sticking with the company. “I think when these younger folks see our facility and the cutting-edge technologies that we work with, it keeps them excited to stick around. This is exactly the type of people that we want and need to raise the bar for the future, so we will continue to provide them with the tools to keep them interested and growing,” said Chandler. Installation of SEW’s newest a81 cell system was completed within projected timelines, and SEW’s cell operated at peak performance on its first production run. Parts delivered to the new a81 cell are verified by vision systems prior to being placed on a dedicated “raw part” stand for the gantry robot to deliver to the machines. Each machine fixture includes one location for machining a raw part and one location for machining a semi-finished part. Since installing its first automated cell, the Lyman plant’s production output has grown tenfold with only a 6 percent increase in manpower. Finished parts are transferred into a booth containing a small pedestal robot. 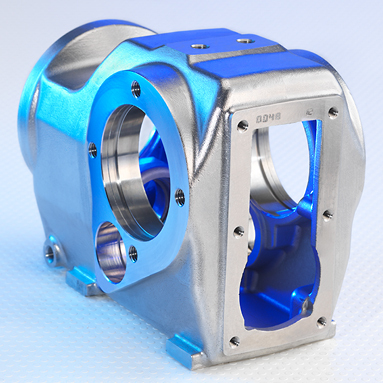 where parts are air blasted to remove residual liquid and debris prior to CMM inspection. Across each of SEW’s cell installations, Makino managed all aspects of the system, including third-party equipment, the human-to-machine interface (HMI), process engineering, tooling and fixtures. In 2007, Makino expanded SEW’s existing eight-machine robotic cell with four Makino a71 horizontal machining centers, a second coordinate-measure machine, two additional pedestal robots, a second gantry robot and a custom HMI. 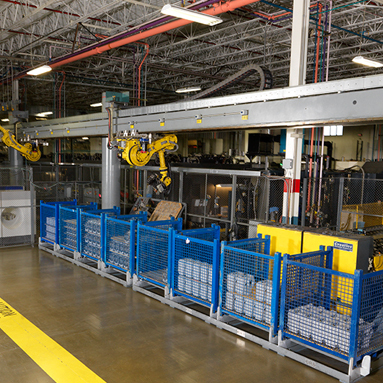 Investments in two Makino MMC2 linear pallet systems have helped SEW transition the entire plant to a five-day workweek. With the Makino machines, SEW is able to consistently meet 13-micron bore tolerances and maintain repeatability within 20 to 30 microns on location tolerances.